Houston It’s still difficult to fully assess the election and its lessons, but some patterns continue to emerge in bits and pieces. A text from Houston after the midterms underlined the hopes for Texas to move elsewhere along the color spectrum. Democrats picked up eleven state representative seats for example on the Beto O’Rourke coattails. This result won’t show up in a calculation of total control of the legislature which is still all Republican all the time, but it might make a difference in the election for Speaker which could stop a lot of terrible legislation and keep it bottled up in committees. 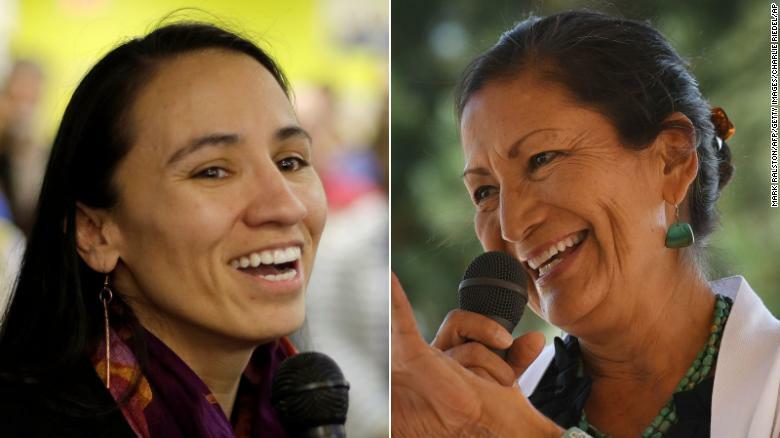 The first two Native Americans were finally elected to Congress, one from Kansas and one from New Mexico. The first two Muslim women were elected to Congress. Michigan voted to legalize the sale and use of marijuana, while North Dakota did not. Medical marijuana was approved by voters in Utah and Missouri. The San Francisco initiative that put a tax on large employers to pay for homeless housing and support prevailed, while the statewide initiative that would have allowed more cities to enact rent control failed by a 2 to 1 margin after huge opposition by developers and some smaller city mayors. Washington State did not approve the first tax on carbon dioxide pollution although voters in Nevada approved a measure that would require electric utilities to get 50% of their power from renewable sources by 2030.Arizona on the other hand overwhelmingly rejected a similar measure in that state after fierce opposition by the local utility. On the healthcare front and protection of the Affordable Care Act, the news was virtually all good on all accounts. Voters in Idaho, Nebraska, and Utah – all red to the core – approved ballot initiatives to expand coverage under the ACA, which is a message Republicans can’t fail to hear. Furthermore, as we have seen in Louisiana for example, the election of Democratic governors in Kansas and Wisconsin may finally move them into the coverage column. In Maine, where the fight has been protracted and the now former governor has stood in the emergency room door to prevent expansion, the election of a Democratic governor there just about guarantees expansion now. Of course, Democratic control of the House of Representatives also means that any repeal is now virtually impossible over the next two years, and, as we all know, the longer we have healthcare protection, the harder it will ever be to end it and not to expand it. Sure, the election didn’t change some things. President Trump is going on “war footing,” whatever that means. Many of us thought that’s what he was already on. For a second he was afraid less than 100% of the attention was on him, so within minutes of a post-election press conference, the White House announced that Attorney General Jeff Sessions, no win for the people, was being temporarily replaced by a Trump hand puppet, guaranteeing that Russia will once again be in the headlines to drown out the increasingly loud voice of the people. This entry was posted in National Politics and tagged change, Trump Administration by Wade. Bookmark the permalink.